Hello, I'm looking to buy a new carburetor for my Moke Californian. 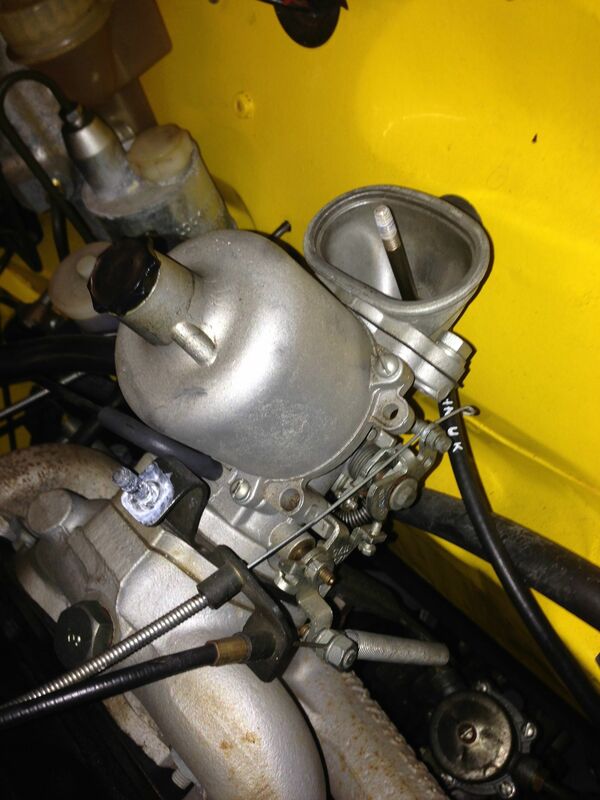 Can anyone help me identify what kind of carburetor I have? I've posted some images below. The damper has "AUC 1803" on it, and the throttle flange has "JZX 1175" on it. Any help would be much appreciated! Last edited by hbard on Fri Jun 19, 2015 5:47, edited 1 time in total. Yours will be a HS4, they usually are. I'm presuming you're in Australia, so why not try Mini Kingdom? I believe he stocks re-con ones as well as service kits for them. Yes, as Nigel suggests, John maybe able to help out - if he has one! But if he says he'll get one in, you might end up waiting a while. There's a few other places you could try as well, however, before going down that path, why do you think you need a complete Carb? Nigel, thanks for your response. How do I ensure that I have the correct needle? 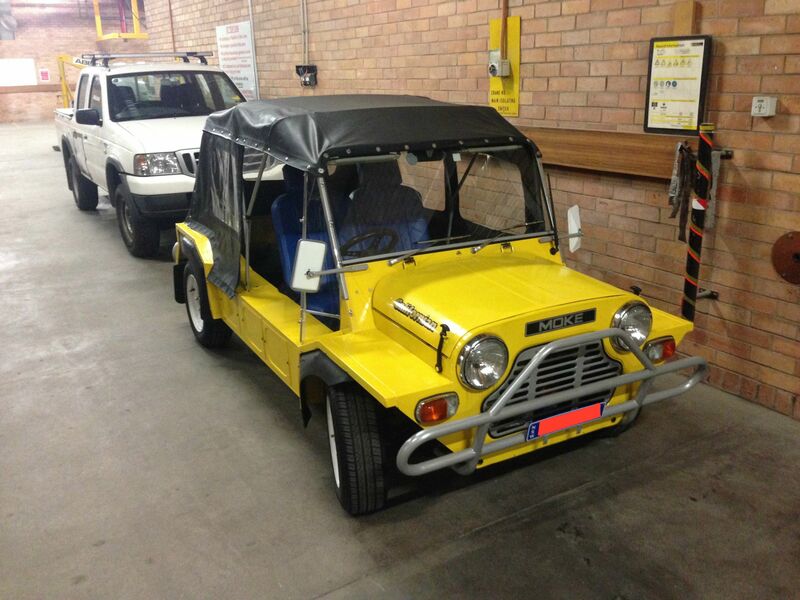 Spider, I'm actually working on a project for uni to convert the Moke to drive-by-wire. Ideally I would get an identical carburetor (so I can work on it in a lab), then add a stepper motor to where the throttle cable normally goes. This would all hook up to an electronic pedal and control system, which would replace the mechanical accelerator pedal. I only have until the end of July, so hopefully I can get the parts I need as soon as possible. I'm glad you like my Moke! I appreciate all the help. The stepper motor conversion should be easy enough to do, you'd want a stepper motor with plenty of steps, but it only has to rotate the butterfly through about 90° and there's hardly any torque on it. What have you got in mind for a failsafe system? What happens if your microcontroller craps itself while the butterfly is fully open? though strictly speaking, not a stepper motor, but does the same job. Tim, the failsafe will most likely be a spring that brings the butterfly valve back to a closed position. Ideally the spring would be weaker than the driving torque of the stepper motor, but stronger than the crank torque. I have a lot of work to do on the whole setup, but that's my plan at the moment. Spider, I'd love to hear more about your setup. What components did you buy for the whole system (motor, driver, control system/microcontroller, et. c)? It looks like you have the original pedal on there, but I'm considering buying an electronic pedal (the pedal comes with potentiometers and sensors already set up) and hooking that up to a control system. Then I'd hook that up to a motor. I do have an in principal understand of what your trying to do there hbard and I am looking on with interest. The point Tim raised re: Fail Safe was one thing I had in mind when I read your post, however clearly there must be some ways that it is done, I have a truck and 2 cars here that are drive by wire from the factory, so I guess there must be an acceptable way. I also get / see that you're looking to mount your stepper motor more or less direct to the carb, I do see many advantages in that. One aspect though in doing this that I feel you may need to take in to account is that of the heat from the Exhaust which is almost adjacent. That set up on my Moke is part of the Cruise Control. 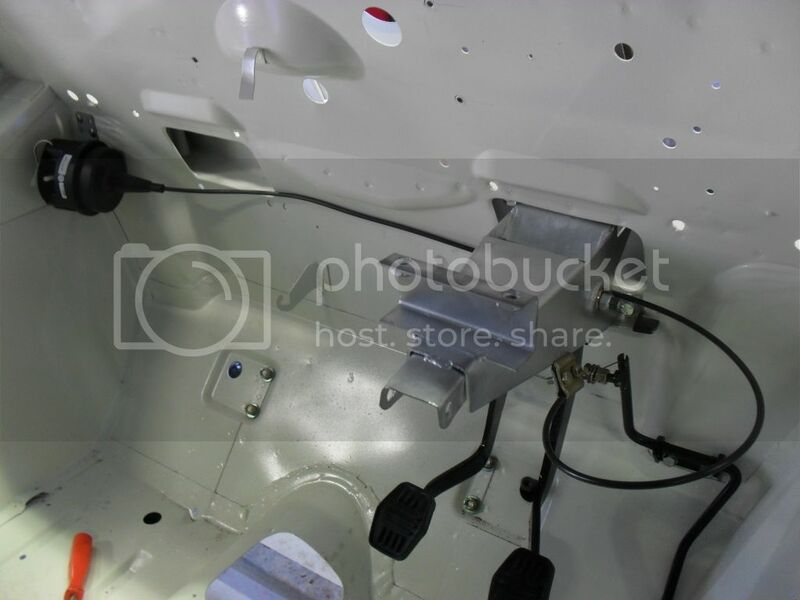 The actuator is actually a Vacuum Diaphragm Unit (it gets the Vac fom the Inlet manifold). 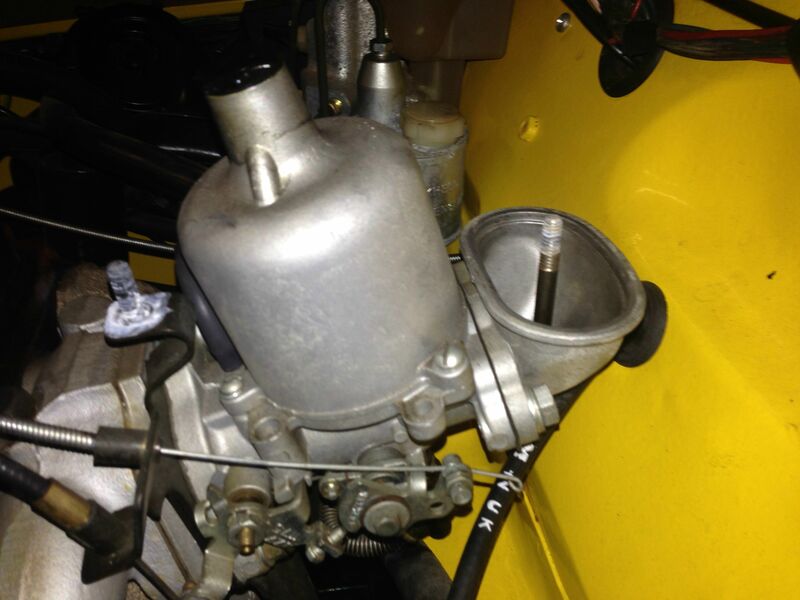 I have fitted many of these to Minis and Mokes over the years, and in the early days, 'played around' with trying to find a way to hook them direct to the carb, there was a number of set ups I tried and none were much good. I tried it via the pedal and while I was sure it wouldn't be too good, it actually works a treat. This has been how I've done them for around 30 years now. The Vac Actuator on this set up is fail safe in that it has two solenoids, one to allow Vac in (yes OK don't niggle that point) and the other to let the Vac to atmosphere, the latter is powered all the time and on loss of power, it vents to atmosphere and so returns to Idle. It's 'resolution' is very very good, for example, when going from the flat to a hill, it puts on the power just so and holds the speed to within 2 kph - unless it's a particularly steep hill or your travelling at less than 60 kph, it's not perfect, but it's Oh so nice on the longer trips. Yet while it can put power on gently, it can also open the throttle almost as fast as you can with your foot. hbard wrote: Tim, the failsafe will most likely be a spring that brings the butterfly valve back to a closed position. Ideally the spring would be weaker than the driving torque of the stepper motor, but stronger than the crank torque. I have a lot of work to do on the whole setup, but that's my plan at the moment. That makes sense, for some reason I was thinking about servo motors which can be hard to rotate without power. The failsafe is definitely a concern, but that will be one of the last steps of my project (once I get everything working in a setup outside of the vehicle, in a lab). Spider thanks for sharing the details of your cruise control, that sounds very nice indeed! Hooking the motor/actuator directly to the carb will probably be difficult, but hopefully I can machine something to properly fit the motor onto the spot where the cable attaches to the butterfly valve. My plan is to first buy an electronic pedal, Arduino microcontroller, and motor, then figure out how to get the motor to respond appropriately to pedal movement. Once I set this up in a lab outside the car, I will design a failsafe, do lots of testing, then finally install the system in the Moke. I'll be happy if I can just get the first portion of the project done.